Evictions from Italy’s second- largest centre for refugees and asylum seekers began abruptly on Wednesday. The move comes as part of Interior Minister Matteo Salvini’s Immigration Decree which was approved in November – critics are saying the action will only amplify social problems. Evictions began with 30 people removed from the Castelnuovo di Porto reception centre near Rome on Tuesday, followed by 75 on Wednesday, with some 500 people expected to have been forcibly removed by January 31. The centre was currently hosting about 540 people, but had supported at least 8000 over the last 8 years. 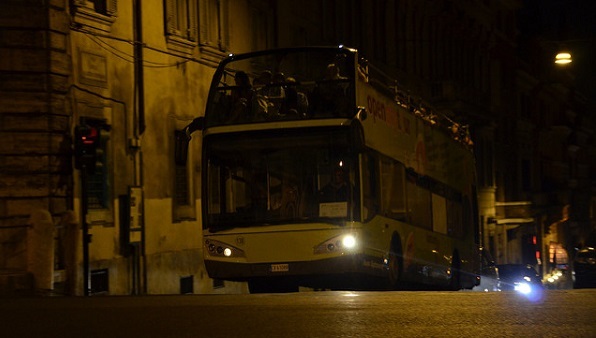 Riccardo Travaglini, the mayor of Castelnuovo di Porto, told reporters that adequate notice was not given before the evictions, and while some people were taken in by local residents, others were put onto buses to be taken to undisclosed locations, without any knowledge of where they were headed. UNHCR’s spokesperson for southern Europe, Carlotta Sami, reported that 14 children hosted by the centre will have to interrupt their schooling, that there is no clarity concerning the due procedure for hundreds of asylum applications that were being examined, and that over 100 people who were employed at the centre as teachers and psychologists will lose their jobs. Travaglini said the centre “had become an integral part of Castelnuovo di Porto” but “In a single day, they managed to destroy years of work.” Roberto Morassut of the Democratic Party compared the evictions to “deportations to Nazi concentration camps”, and Father José Manuel Torres of the city’s Santa Lucia church said “We are asking that they not be treated like livestock”. Valeria Carlini, a spokesperson for the Italian Council for Refugees, warned that the residents will be left homeless and pushed to the social margins of society, while organisations assisting migrant integration will be “brought to their knees”. Salvini maintained that by closing refugee centres he will save the Italian government six million euros per year, money that could instead be spent on “helping Italians”; he did “what any good father would have done”. Many of those affected are amongst 10,000 who had previously been awarded two- year humanitarian protection permits which allow them to work- this permit has been abolished under the Immigration Decree leaving many people vulnerable to destitution. Subscribe to the ECRE Weeekly Bulletin and the the Daily Press Review and get your overview of developments at national, European and international level related to refugees and asylum seekers.